The Final Fantasy series has never shied away from bringing out a side game in order to experiment with a new genre. 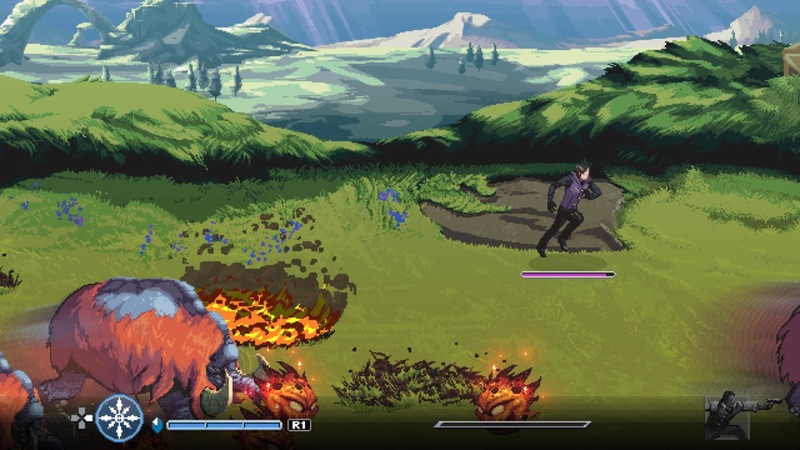 A King’s Tale is their attempt to try their hand at the beat ‘em up style while at the same time paying a nice homage to the old SNES era of gaming where this genre peaked. Before we get too far into discussing the in and outs of the game, it needs to be said that this is a very short title. The run time of the story mode will clock in at about an hour with only a couple more to be found in the dream battles challenge mode. Normally, this would be considered an insult to the consumer and make it a lot tougher to appreciate for what it is. There is good news though as no matter how you got the game it, didn’t cost you anything extra. Originally, it was provided as a preorder bonus for those that reserved a copy of Final Fantasy 15 and months later someone just flipped the switch and made it downloadable by the masses for no charge. In this case, it’s easier to forgive the fact that in most cases the credits will be rolling faster than some games take to download. 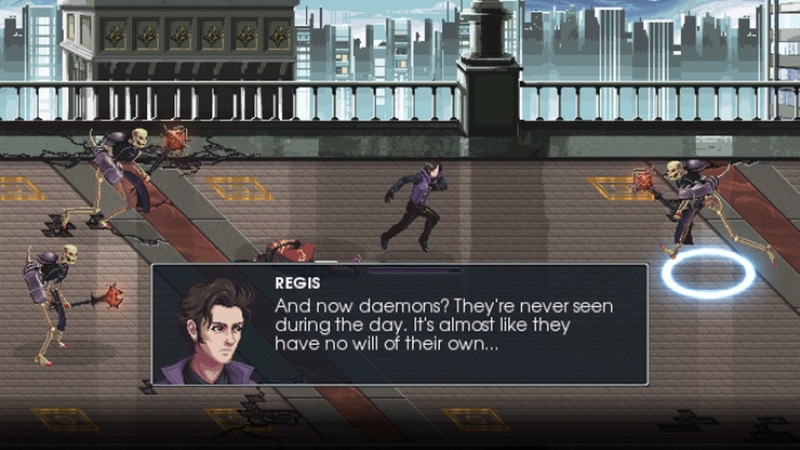 I have heard many times that the story is meant to give more context and depth to the relationship between Noctis and his Father King Regis, as well as explain some past events that took place before Final Fantasy 15. I have no idea how this is the case. King Regis is telling his son a bedtime story of an adventure that he went on with his companions, specifically one that he is embellishing in. It’s a convention that has been used in video games for decades to side step cannon and is in no way necessary to know. Its biggest purpose is to provide a reason to swing your sword at mystical creatures for awhile. Luckily, combat is done well and will keep you engaged throughout the adventure. It begins fairly simply with light and heavy attacks but before too long you will have magic spells to cast and friends that you can summon for a quick combo attack. Even though the final count of abilities won’t be very high, you won’t feel like you are just mashing buttons because there is a level of strategy in the form of enemy resistances and weaknesses. Since they come at you in groups, you will always be thinking of what spell to cast, what projectile to deflect and when it is best to dodge so as to not lose your combo meter. Ultimately, this is a great foundation for further development within the genre. Let’s talk graphics, I have to admit that I really enjoyed seeing a Final Fantasy game running in the 16bit style again. 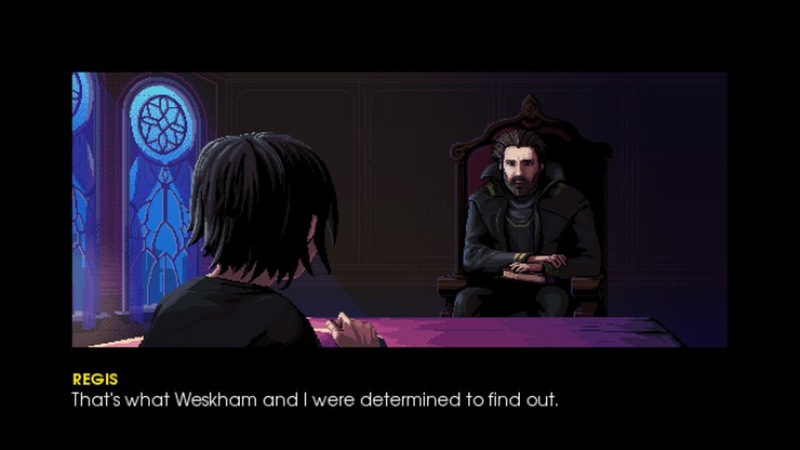 It is unfortunate that A Kings Tale uses the common practice of looping simple backgrounds, which are already limited to locale variety due to the games length. Luckily this is compensated for with a real focus to detail in everything else. Allies and enemies are well animated in varies styles and sizes, spell animations flow nicely when case and cutscenes transition well. I would be lying if I said that seeing flan, bombs and cactaurs back to a simpler form didn’t make me feel some nostalgia. Also, while it has nothing to do with their visuals, Tonberry are still the bane of my existence. I don’t usually make it a point to discuss the audio but I have to make comment on the soundtrack. While it suffers from limited variety, as would be expected from such a short game, what is there really hits the spot. From the variants of the classic Final Fantasy title and battle themes to the few original tracks that compliment the fast pace of the combat, it really seems like no game in this decades old franchise ever treats music as an afterthought. The one attempt at replayability in this game is the Dream battles. 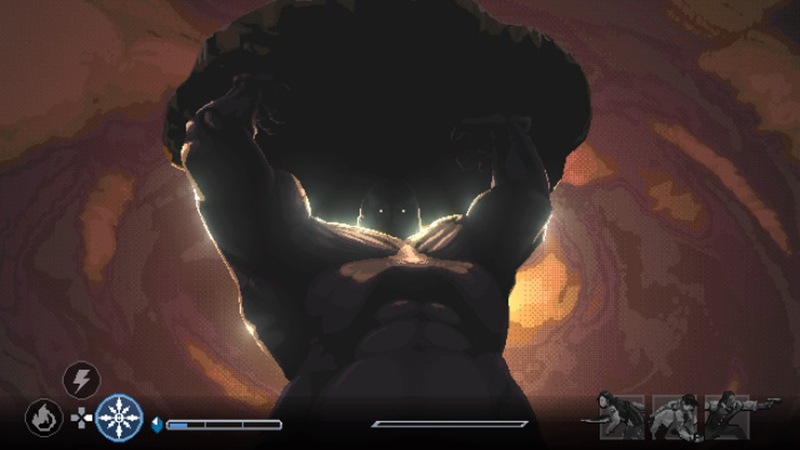 They unlock once the main campaign is finished and are a series of fights with specific completion requirements. These can range from surviving a predetermined amount of time, not using magic or even taking a single point of damage. Beyond the couple trophies there is little reason to sit through the tedium of this mode and something like an unlockable skin for Final Fantasy 15 would have given it a lot more of a purpose. It’s free, if anything that I have said thus far appeals to you or you just want something for a few hours of mindless fun, download it. If however, you thought a free download was going to be the next epic adventure you tell all your friends about, avoid it….and maybe re-evaluate your expectations.